In the heat of an argument, it’s far easier to say what we don’t want than what we do. Stan Tatkin, the founder of the psychobiological approach to couple therapy, proposes that people are better built for war than love. Sometimes it seems that way. The problem with expressing needs in a negative way is it comes off like criticism. Despite what some people say, there is no such thing as constructive criticism. Criticism triggers a person to become defensive and protect themselves from an attack, which blocks the resolution of a conflict. It doesn’t matter how much trust and intimacy there is in a relationship, it’s still nearly impossible for someone to listen to a personal attack without becoming defensive. This is true even for very happy couples. As witnessed in Dr. Gottman’s Love Lab, on the rare occasion that one happily coupled partner began a complaint with criticism, the other partner became defensive. For conflict conversations to succeed, you must state your feelings as neutrally as possible and transform any complaint about your partner into a positive need. Doing this for your partner is the equivalent of creating an instructional guide to winning and keeping your heart. It is important to note that the negative emotions that lead us to blame or criticize are often signposts of what we value most. Think of a negative emotion as a clue to your hidden wish. When you express that hidden desire directly, you’re more likely to make that wish come true. For example, hidden underneath anger may be feelings of loneliness. When you become aware of that loneliness, you can ask your partner for the things you need to feel more connected. 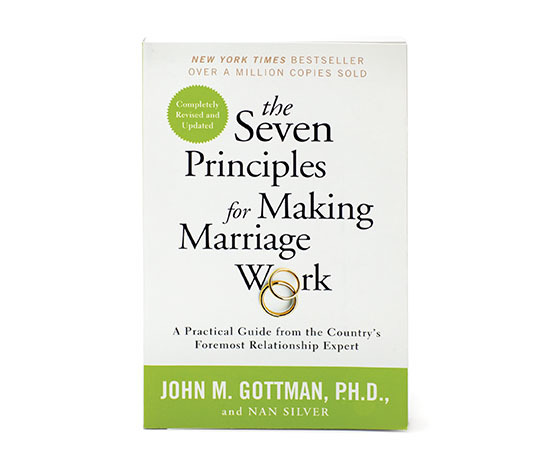 In the weekly State of the Union meeting, Dr. Gottman has discovered that partners need to ATTUNE to each other before problem solving. After witnessing thousands of couples fighting, he discovered that the Masters of relationships did one powerful thing: they transformed their criticisms into wishes. This is the second “T” in Dr. Gottman’s ATTUNE conflict resolution model for couples. Blaming our partner or hiding our feelings by criticizing is easy. Speaking our feelings and fears requires a willingness to be vulnerable. Often this vulnerability is mistaken as a sign of weakness, but that couldn’t be farther from the truth. Vulnerability is courageous. It’s a willingness to drop your shield and expose the unguarded underbelly of your fears, doubts, and insecurities. Because of this discomfort, many of us avoid being truly vulnerable with our partners. I know I have done this in the past and sometimes still do. But as I have come to learn, owning my fears and insecurities and then naming them in my relationships is actually a strength. As Brené Brown puts it, “Our willingness to own and engage with our vulnerability determines the depth of our courage.” It also determines the depth of the emotional connection in our relationship. Often with couples I work with, there are barriers to being vulnerable with their partners. For example, Kris and Christina found it really difficult to focus on the wishes behind their criticism. They were fighting over when to have a child. Christina was ready to make the leap into parenthood, but Kris was not sure it was the right time. Do you see how being vulnerable can transform your relationship and help you get your needs met? It’s also important to not wait for conflict to happen to be vulnerable and express wishes in a positive way. Pay attention to ways you can proactively be vulnerable with each other outside of heated conflict. For example, by saying, “Please slow down your driving so I can feel safe,” rather than, “You’re driving like a crazy person! Slow down!” you give your partner an understanding of why you’re feeling the way you are, rather than blaming them for what you’re feeling. We have now completed the speaker responsibilities in The State of The Union Meeting. Next week we are going to give the listener their first tool to help change the conflict dynamics in the relationship. While every aspect of ATTUNE is important, next week’s concept is arguably the most important one of all. How Emotional Agility Improves Relationships: An Interview with Susan David, Ph.D.
We sat down with Susan David, Ph.D. to discuss the importance of emotional agility in relationships. Today on The Gottman Relationship Blog, we break from our regularly scheduled programming to make a very important announcement. Children, just like adults, benefit greatly from consistent and deliberate self-care activities. We here at The Gottman Relationship Blog have been struck by the outpouring of interest in our recent postings on bidding.